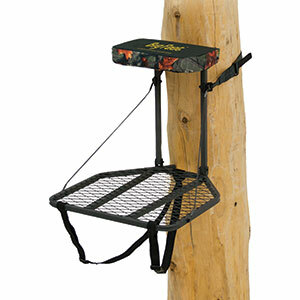 At Rhine Valley Game Calls, we offer a variety of Tree Stands and Ground Blinds for the Hunters. As always, if you see a product that we don't have in stock we will make every attempt to get it for you. Rivers Edge "Big Foot" Hanger Stand. Guide Gear Extreme Deluxe Climber.